People are our greatest asset. The best way for us to improve the quality of Cochrane Reviews is to bring people together. To make it easier for us to find each other and work together. 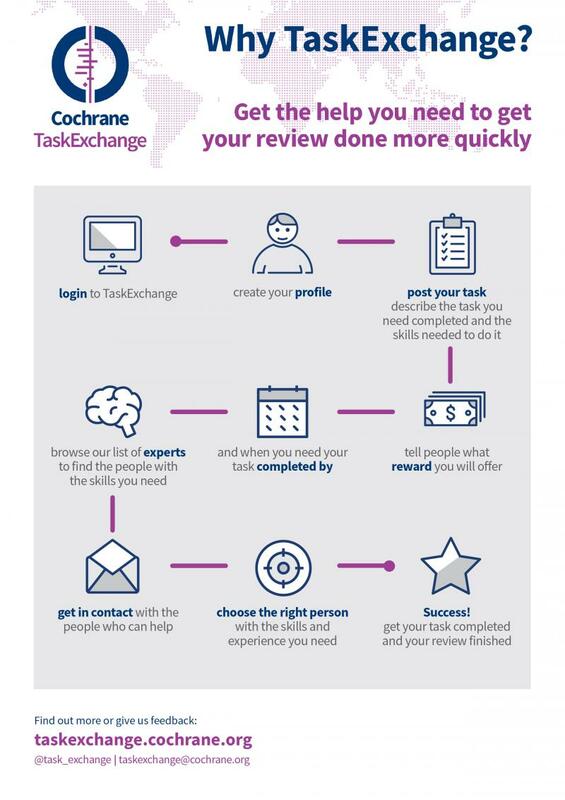 TaskExchange is a platform that connects people who need help with their Cochrane reviews with people who have the time and expertise to help. 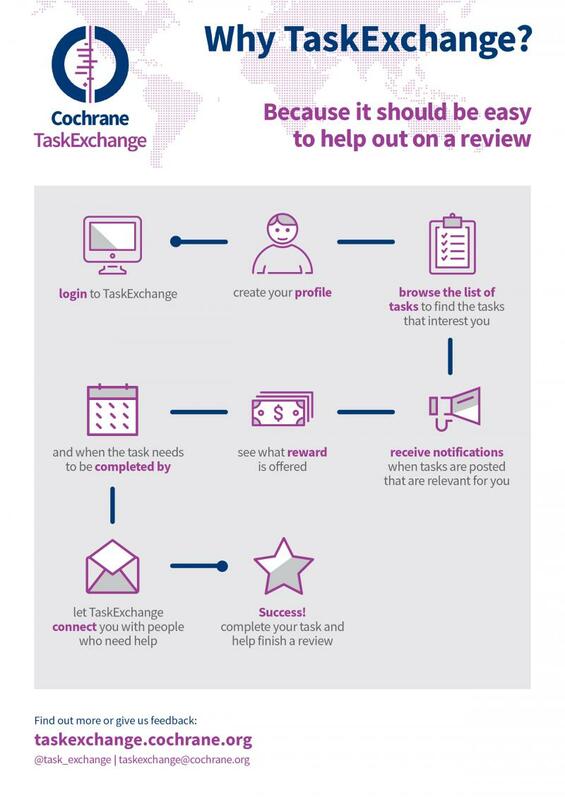 Send us your stories of using TaskExchange and suggestions about how we can make TaskExchange better meet your needs.